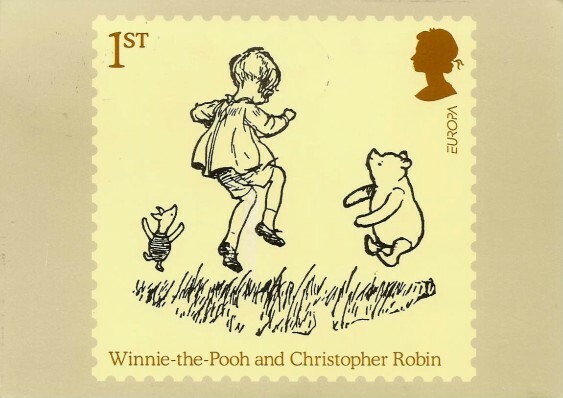 The first Winnie-the-Pooh book was published 90 years ago today. Although the book Winnie is 90 years old the real Winnie, an orphaned American black bear, would be 102. A Canadian soldier and veterinarian adopted the orphaned cub when he found her while at a stopover at White River. He paid $20 to a hunter who had shot her mother for her and named her Winnie after his hometown, Winnipeg. 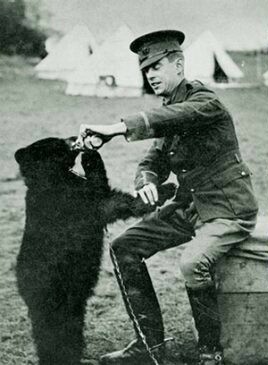 Winnie and Lt Harry Colebourn continued their travel overseas with Winnie becoming a mascot for the 2nd Canadian Infantry in WWI. When Lt Colebourne was deployed to France, Winnie went to stay at the London Zoo. It would end up being a permanent new home for Winnie as when the war ended and Harry Colebourne came back for her, he decided to let her stay where she seemed to be happy. Winnie would live to the ripe old age of 20 - 2 years longer than the average American black bear. 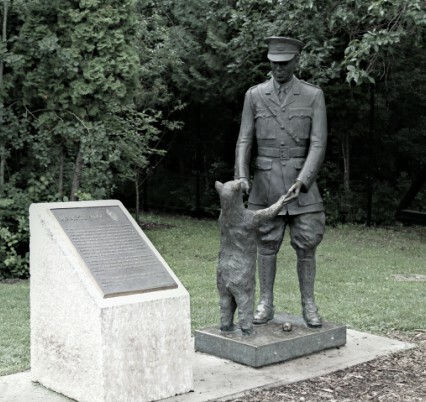 At the Assiniboine Park Zoo in Winnipeg is a stature of Lt Colbourne and Winnie. Harry Colebourne and Winnie during the war. Sadly, the real Christopher Robin wasn't quite as enamoured of the books as the rest of the world. I like the Canadian link to Winnie the Pooh. It seems appropriate. Thank you for the history behind Winnie the Pooh. Always loved those stories.